NXT: What is right and what needs to change. First let me say that I’m pretty new to watching NXT, with the recent Takeover: Fatal Four Way event being the first time I sat down to watch it live. I’m continually impressed by the “minor league” of the WWE, but can’t help but feel that little things need to change in order for it to become a big deal. I’ll be referencing some other people’s opinions from different podcasts and articles as well, so credit will be given where credit is due. If you listen to JR’s Ross Report Podcast you’ve heard him continually make two statements about today’s “younger” talent and what WWE fans may consider to be “rookies.” While some of NXT’s talent has been in the business for 10+ years, to those who strictly watch TNA and WWE will instantly label them as new guys. So what I’m about to say doesn’t necessarily apply to all of the talent, like Sami Zayn as the best example, but to some of the legit noobs. 1. SLOW DOWN – Something JR constantly says about ROH talent is that they move too fast and don’t sell enough. By constantly pulling the “superman card” and kicking out of finishers non-stop they don’t give the commentators a chance to well…comment on what’s going on! Also, but not selling a move they’re making it seem less believable. I know it’s a show, but humor me! Don’t insult me by making it seem like a video game. 2. You can’t get better being in the ring with someone at the same point as you. You have to get in the ring with someone who has been doing it longer. – Triple H and Steve Austin aren’t going to learn anything new by going out to the ring together. BUT, Put Hunter in the ring with someone like Adrian Neville? I’m sure he’s only going to improve his game (no pun intended.) So how do you fix that? Bring in a few “veteran” talents, bigger names to work with the newer guys. You don’t need to flood the show with them, maybe 2 or 3 established names who can work on the shows with the NXT Locker Room and provide feedback and show the guys how to work a “WWE style” on the fly, not telling them what they did wrong afterwards. A guy like Lance Storm comes to mind, who has the various experience of all the different territories that he can give to these guys. Yes, I know he has his own school in Calgary and wouldn’t do it, but you get the idea. Other than that, NXT showed me that they’re actually on a better path to being a great show than WW-ECW ever was or that TNA is right now. Triple H recently said he wants NXT to be the new WCW. With that said does he mean that WWE wants to make their own competition since TNA isn’t really doing so? Who knows, but time will tell. I was a little upset when they announced KENTA changing his name, but then again, I kind of expected it. The Women’s Title match was probably my favorite of the night from Takeover, closely followed by the Fatal Four Way match. That may just be because I don’t care for Tyler Breeze’s character and I’m sort of tired of the multiple false finishes. They don’t surprise me anymore and they don’t seem realistic when no one even kicks out at one anymore. So it NXT the future? I think so, and they’re well on their way to being there if they keep up the pace. 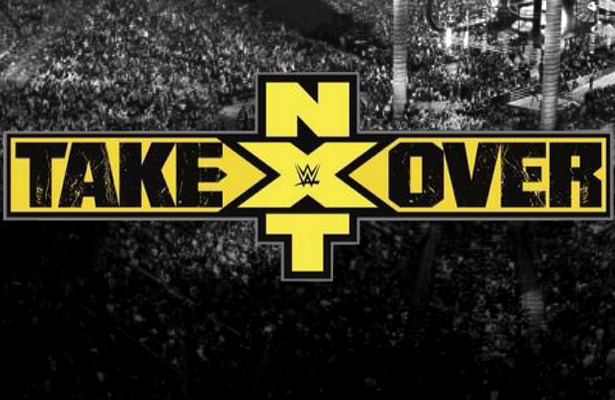 Could NXT be competition for RAW and Smackdown? Maybe if they play their cards right they just may! Also, fire Bull Dempsey. He’s just…No…just no. ← The Rock is Black Adam, Ninja Turtles wasn’t THAT Bad, and Doctor Who, too!